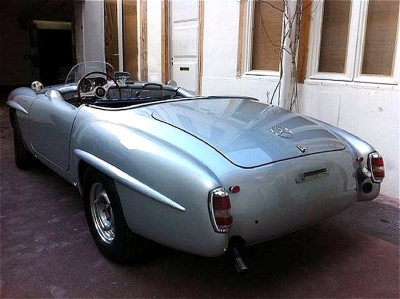 220SL, the alternative to the 190SL in the 1950s? When talking about the 220SL, we have to look first at the Mercedes 190SL, which would most probably have never been built without the input of Max Hoffman. The Austrian born Hoffman was based in New York and imported a variety of mostly British cars to the US. 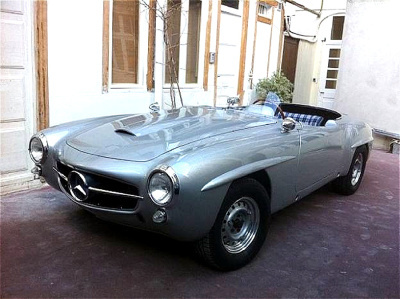 When he entered into an agreement to sell the 300SL in the United States, he told Daimler-Benz executives that he needed also another such car but this time an open car with a smaller engine. The prototype (of two built) of the Mercedes 190SL was displayed next to the 300 SL Coupe at the Motor Show in New York in February 1954. The response was clearly positive, so Daimler-Benz management decided to prepare the new car for production. They knew that Max Hoffman was right, the Mercedes 190SL would find a large enough customer base. The engine of the Mercedes 190SL was a modern four-cylinder 1.9 liter (116 cu in), which was in its basic concept developed for the Mercedes Benz 180 ponton sedan. 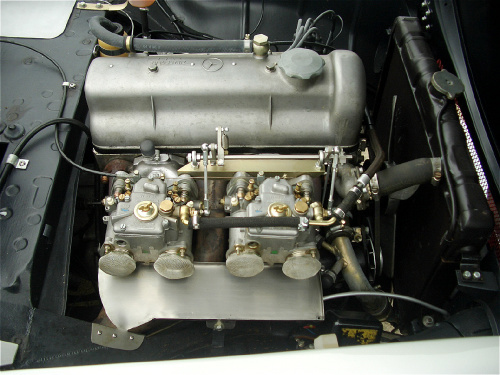 It operated with two Solex downdraft carburetors and developed 105 hp at 5.700 rpm. The car could accelerate from 0 to 100 km/h in 14.4 seconds and gave a respectable top speed 172 km/h or 108 mph. 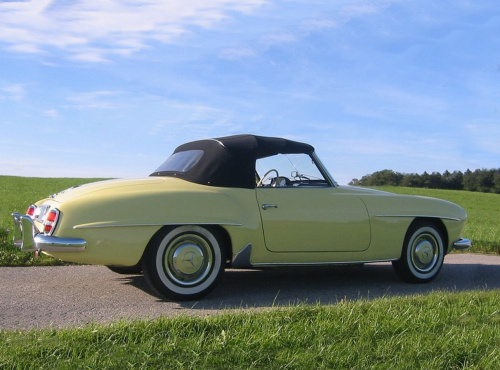 More than a year after the initial unveiling, the Mercedes 190SL was finally presented in March 1955 at the Geneva Automobile Show. Its base price in Germany was DM 16 500 .- ($ 4,125 .-). The starting price in the United States was slightly less than $ 4,000 .-. This was more expensive than the Jaguar XK140. 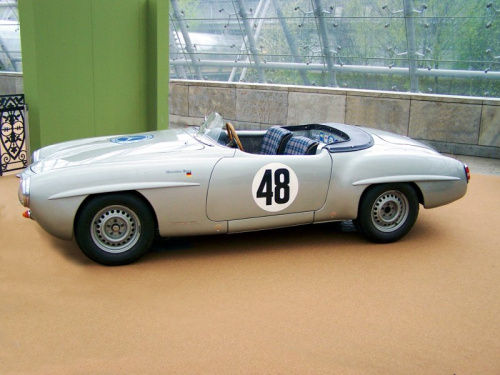 Commemorating the Silver Arrow racing cars, the car was in the first year available only in silver metallic. Daimler-Benz wanted to promote the car as a sports car, they had even produced some 17 special versions that were supposed to participate in international races. But except for the Macau and Casablanca race in 1955, there hadn’t been much activity, as the car was not approved by the FIA, the International Motorsports Federation, for the GT category. Consequently the race support was stopped and the name sports car slowly dropped from the brochures. 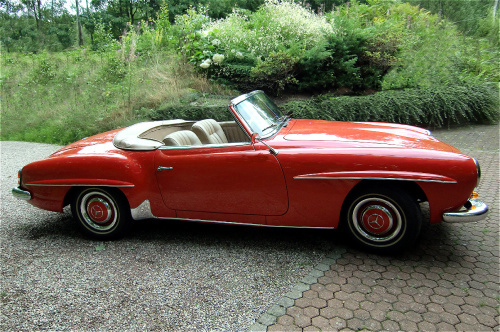 Board member Dr. Nallinger and some of his engineers did not give up on the idea of the Mercedes 190SL being a sports car though. 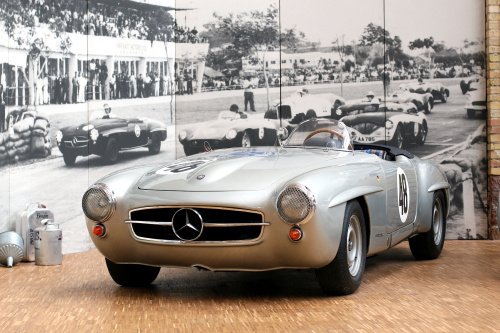 That is why Goschel, who had developed the 190SL engine, was given the task to look for suitable alternatives. As he had assisted developing the fuel injection of the 300SL engine M198, he naturally decided to apply some of the technology of that engine to a revised version of the M121 engine of the 190SL. The project received the internal designation M126 and was equipped with a new cylinder head casting and a high-pressure Bosch mechanical fuel injection. When tested, it produced 117 hp between 5,900 and 6,100 rpm. That was just 12 hp more than the original 190SL engine. And that was one of the reasons, why it was cancelled. The other reason was that it would have been far too costly to produce. Uhlenhaut suggested to use a bigger engine instead. 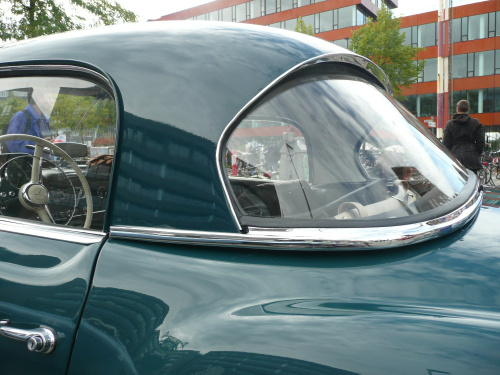 In this case the six-cylinder engine of the 300 sedan. The task was given to young Kurt Obländer, the man, who had developed the carburetion system of the engine. His problem was that he couldn’t make the big engine fit into the engine bay. That bay was never designed for such large power plants. But at the age of 27 you are never shy of trying something unusual, so he started to build a parts-bin engine. When reading about it, it looked similar to a recipe from a cookbook: first you take the 300 engine block, add to it that car’s cylinder head and try to make three Solex 32 PAIAT carburetors fit. You can’t use the injection system of the 300SL, as it was too bulky (and way too costly). Once you have accomplished that, add an air filter from the 300Sc. Then you fabricate a new intake manifold, sump pan, add a water pump and fit a new exhaust system. And this new concoction you try to squeeze now into the 190SL’s engine bay. But it doesn’t fit! Well, you have to cant it by fifty degrees. Et voila, now it fits. Initial tests showed that the power output was 139 hp, but that was not yet enough for Obländer. So he worked on the engine again and this time he was able to raise the output to a respectable 151 hp at a reasonable 5,100 rpm. Now that engine needed to be tested in real life. So it was decided to enter a 190SL with that engine in the 1956 Alpine Rally. Everybody was thrilled, because with 151 hp under the hood, acceleration and top speed were far superior to the normal SL. Two problems remained though and one of them was a major one. 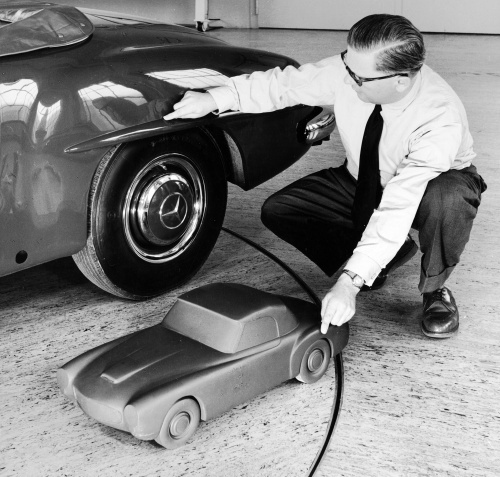 The lesser one was the inferior weight distribution, which could have been dealt with. The major one was production costs for such an engine. They would have been prohibitive. Unfortunately and much to Obländer’s dislike, the project had to be cancelled too. But once you got an engineer excited, he doesn’t give up so easily. And as there was still sufficient support from top brass, it was now the 2.2-liter six-cylinder M180 engine from the 220 ponton sedan that was selected. After all it was lighter than the 3.0-liter and was cheaper to produce. Maybe that’s what Uhlenhaut had meant in the first place. Only the power output needed to be addressed. And by using fuel injection and a touring specific camshaft, output could easily be increased to 117 hp. Problem was, the engine was again too long for the engine bay. So body modifications were necessary such as the bulkhead being recessed by some 152 mm (6 in). Once also the strength of the transmission tunnel had been increased, the six-cylinder engine and a four-speed gearbox were assembled onto the sub-frame and positioned underneath the W121 body shell. Two such cars were produced and they were given the internal code W127. 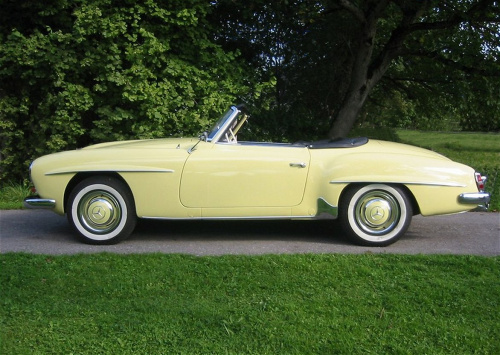 As they were the fourth and fifth trial cars with a larger engine, they were named 190SL /4 and 190SL /5. 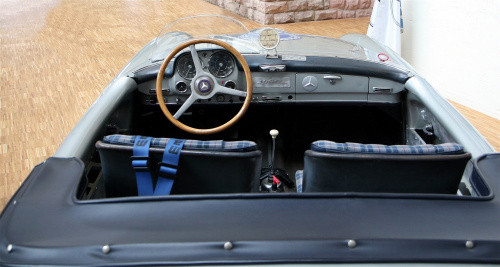 The first person to lay his hands on 190SL /4 was engineer Erich Waxenberger. Like his boss Rudolph Uhlenhaut, he just loved fast cars. 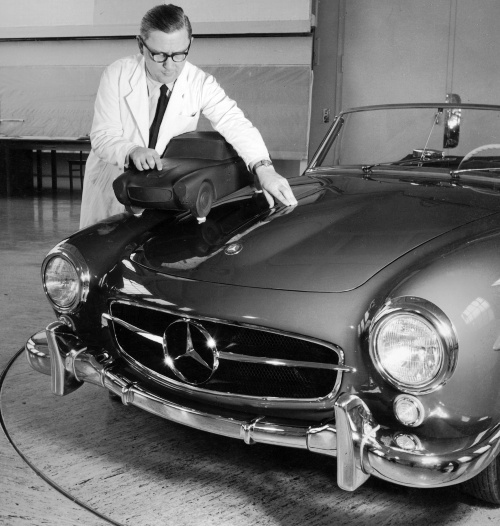 That is why he was eager to test the latest attempt to make the 190SL faster. Coming back from his first test run, he remarked that he was happy with the speed and handling, but that he felt the front springs were too soft for the heavier engine, resulting in over-steering in fast corners. He said that after he had placed an 80 kg ( 176 lbs) heavy bag in the trunk, the cars over-steering would disappear. In June 1956 it was time for some more serious testing and this time Rudolf Uhlenhaut and Formula One legend Karl Kling got behind the wheel of the two Mercedes SL W127 on the famous Nordschleife of the Nürburgring. The car developed in the meantime 130 hp. They lapped in perfect harmony one lap after another in eleven minutes and twenty nine seconds. Arthur Mischke, who later became head of development, tried to follow them in a standard SL, but was constantly a good 25 seconds slower. These results and further tests in the alpine area of the Gross Glockner, the highest mountain in Austria, encouraged Nallinger to address his fellow board members and propose to put the W127 as 220SL in the official Mercedes-Benz program and make it ready for production. On 12th of April 1957 it was decided at a board meeting to have both Mercedes SL cars officially offered to Mercedes customers: the old 190SL and the more powerful 220SL. But fate had it another way. Fate was called Hans Moll. And Hans Moll was works chief in Untertürkheim. He had bad news for Nallinger. He advised him that the tooling needed to produce the new fuel-injected six-cylinder would not be ready on time to meet the launch timetable. Nallinger as head of overall development was now confronted with a problem. Because delaying the launch of the 220SL would mean that his other and more important project, the development of the brand new W111 and W112 series would be put in jeopardy as well. At a further meeting with Moll he was told that if the schedule of the W111 and W112 would proceed as planned, the earliest for production of the 220SL to commence would be 1960. When the board met again, Nallinger raised his concern that the new W111 “S-class” had a completely new body manufacturing technology. 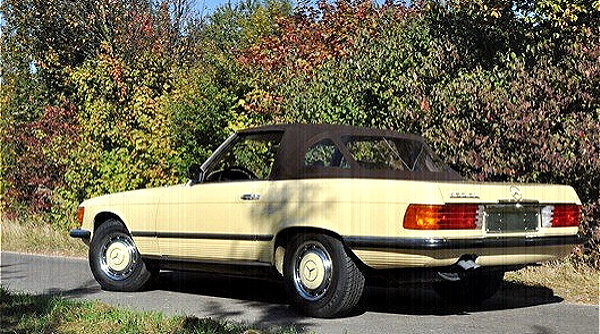 And this might interfere with the production of the 220SL, which still used the old 180 platform, on the opposite side of the same assembly line. That is why he proposed to halt the planned production of the 220SL and prepare for a completely new design with a brand new engine instead, using the modern basis of the W111. As the standard Mercedes 190SL was still selling quite well with its standard engine, his colleagues accepted that proposal. 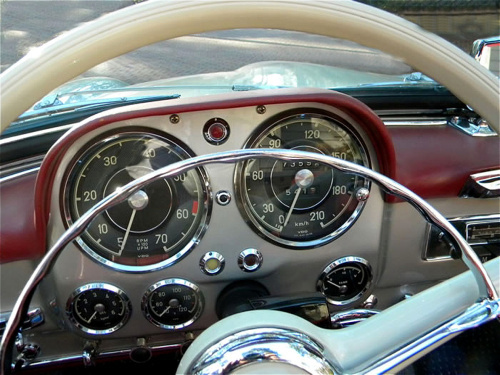 This new car, known internally as W113, was during development called 220SL and introduced in 1963 as 230SL. 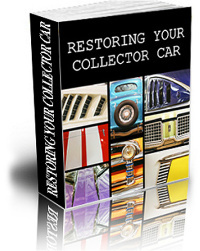 If you want to read much more about the Mercedes 190SL and other Mercedes models of the 1950s and 1960s, all of that is covered in my books and e-books and can be ordered from my website. They offer next to the cars’ history the experience to own one of these great vehicles and have plenty of (non Daimler-Benz) color pictures, most of which have never been published in a book before. I am sure you will enjoy. Later this week I will drive this priceless Mercedes and write a feature on it for Wheels magazine. I was hoping that you might be able to confirm that this is in fact the last of these prototypes remaining and share any additional information you may have on it. It was nice reading it. 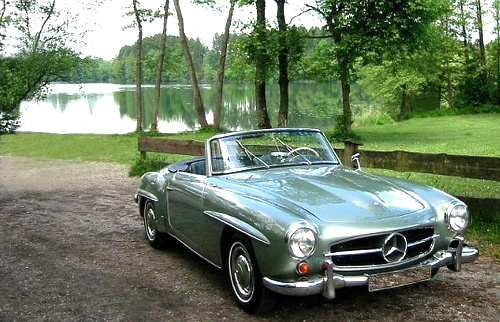 My 1st car was a 1958 190SL in 1978. It had the typicall metallic Mercedes engine sound. Even with only 105 HP the car tend to beeak out wirh it’s back as ot was to light. So we put a 50 Kg Cement back into the trunck.